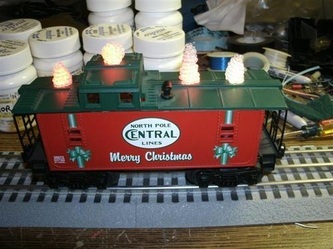 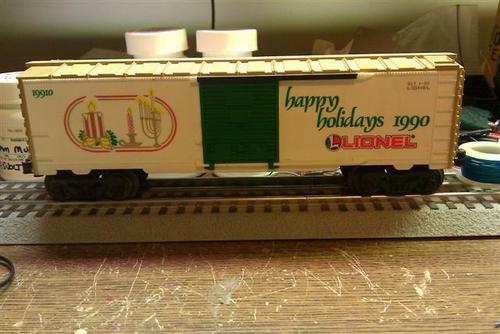 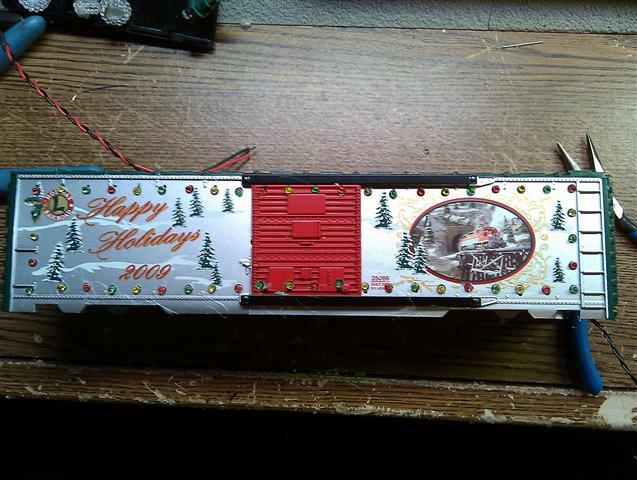 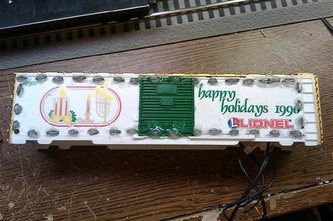 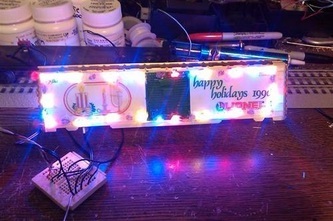 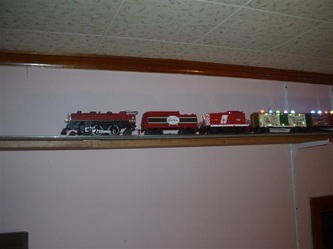 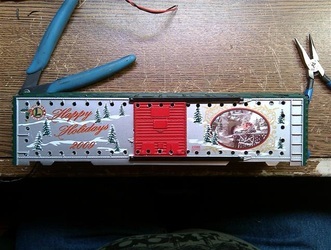 I found these multi color LED's at a craft store and thought it would be neat to outline a boxcar with these lights for the Christmas season. 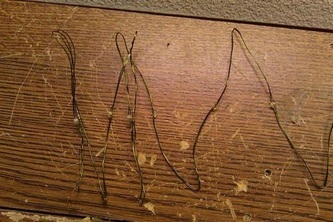 Two sets were used for a total of 100 LED's, 50 per side. 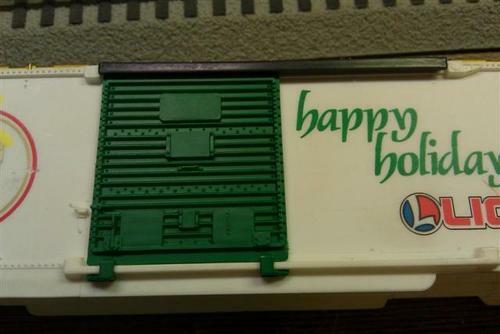 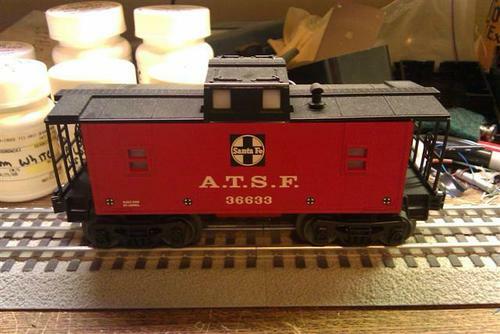 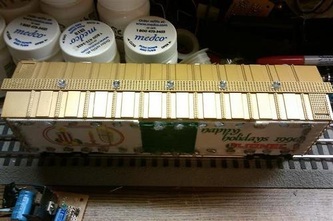 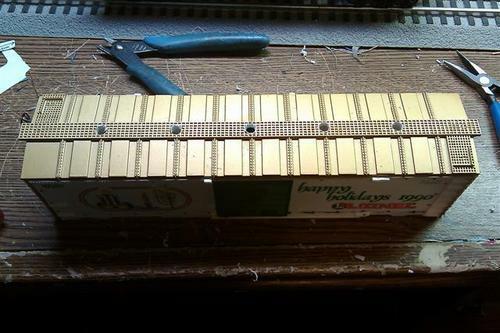 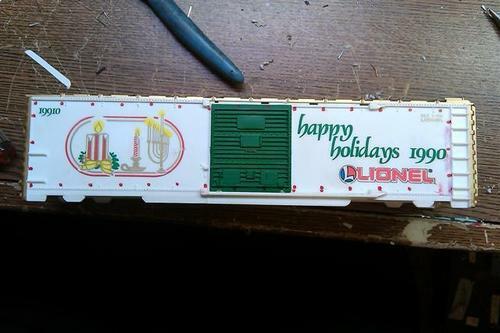 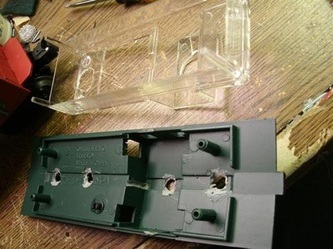 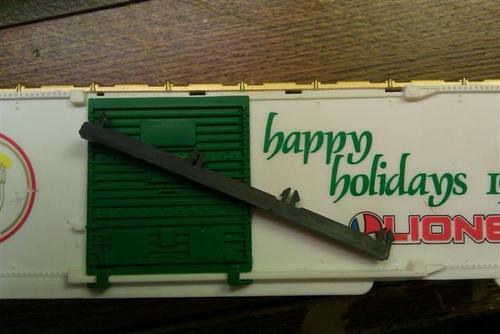 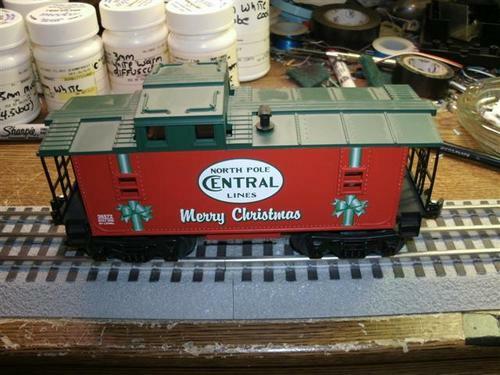 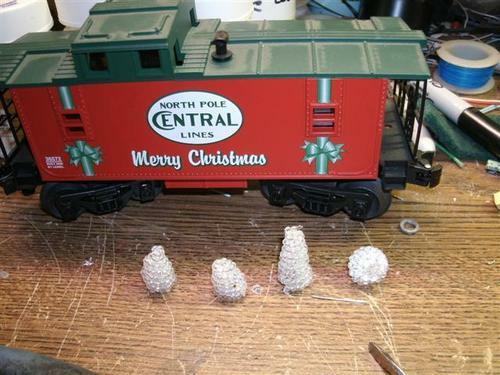 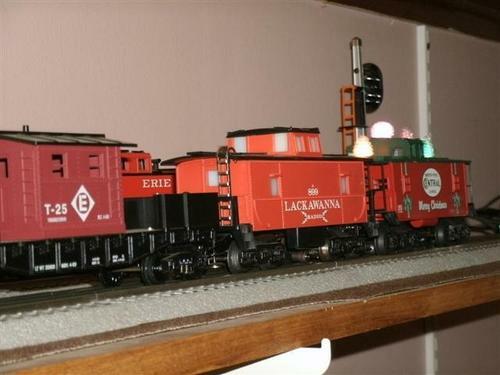 I purchased a leftover holiday boxcar for this project. 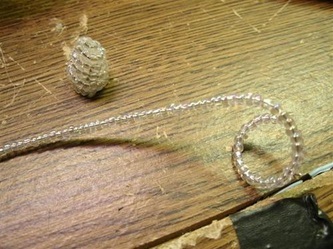 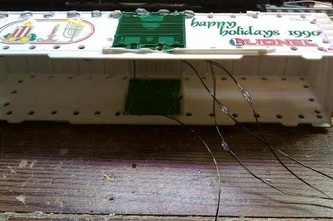 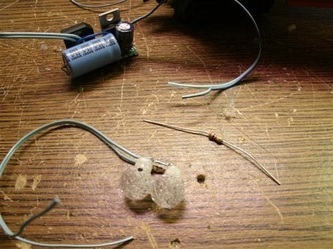 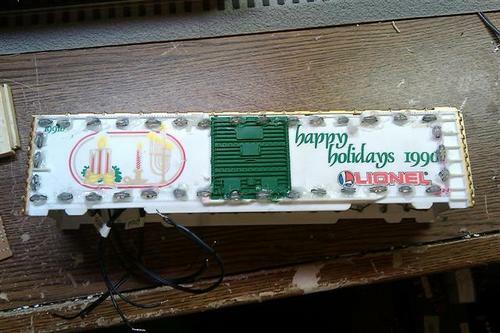 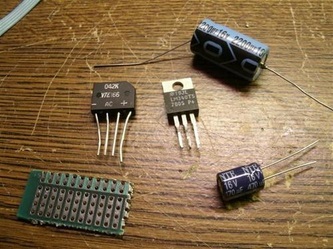 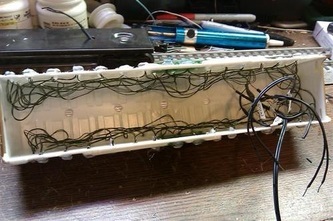 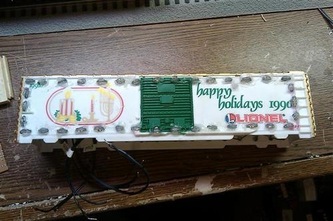 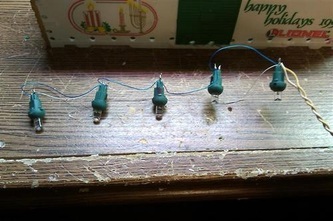 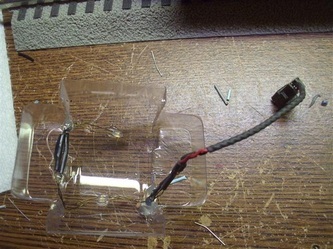 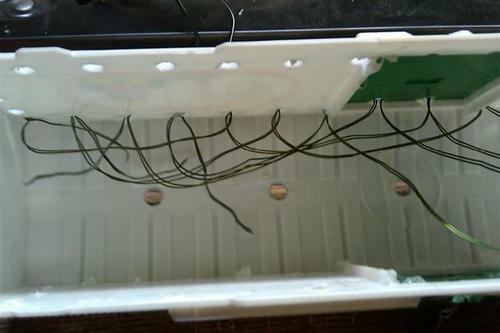 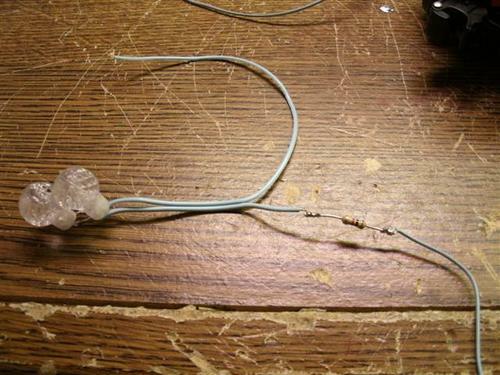 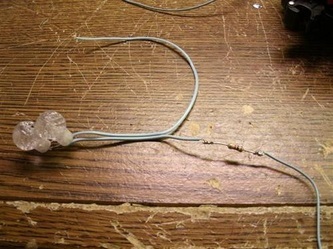 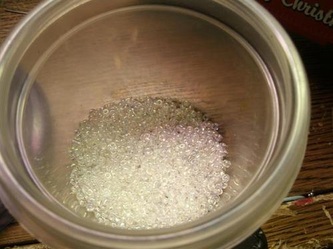 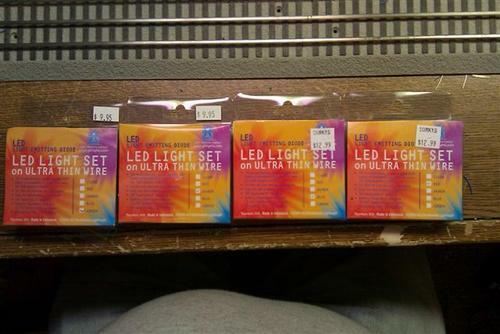 Shopping for LED Christmas lights to be used for lighting, I came across some small 1mm LED lights on magnet wire. 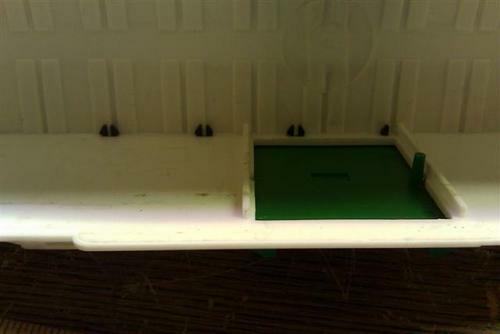 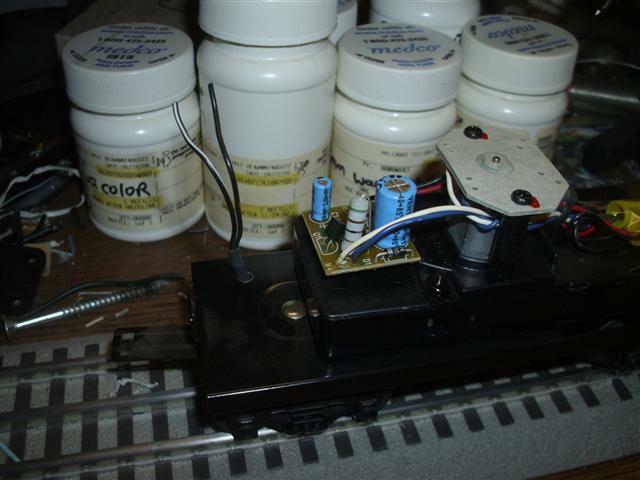 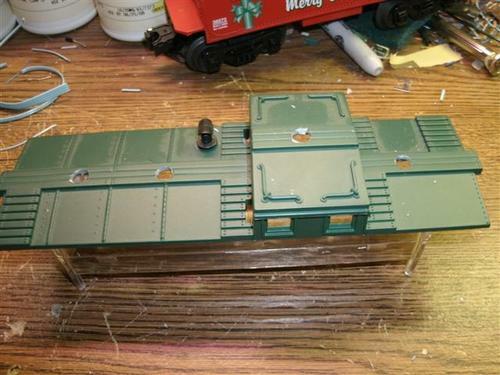 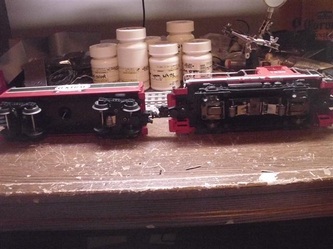 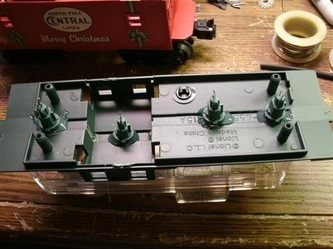 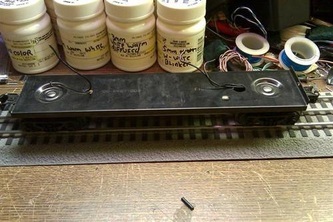 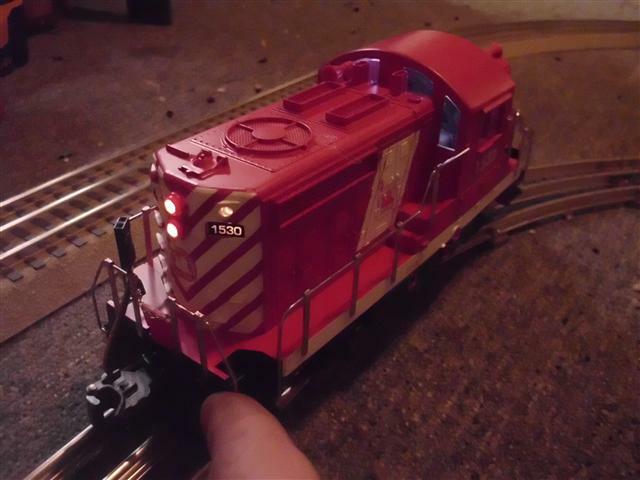 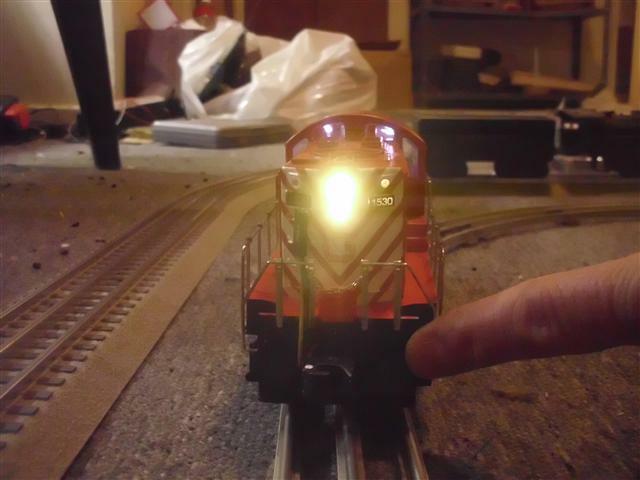 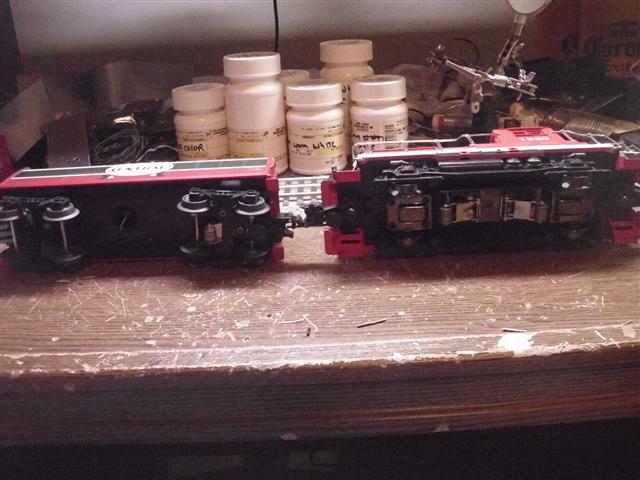 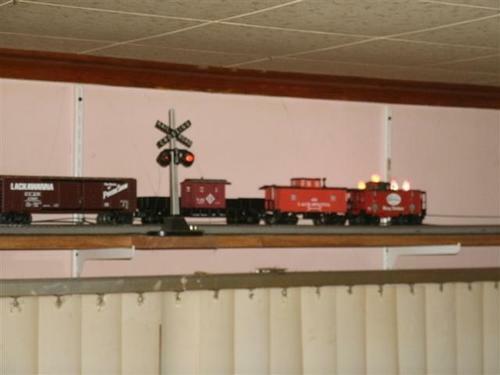 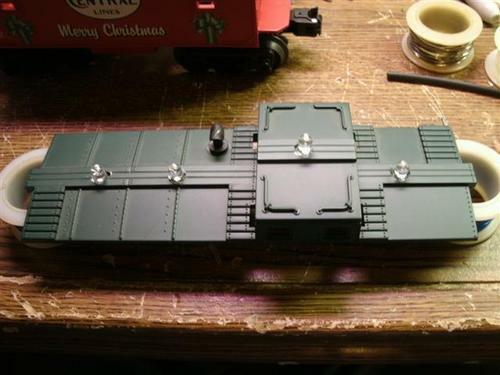 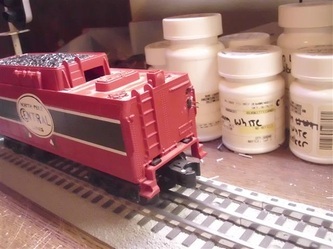 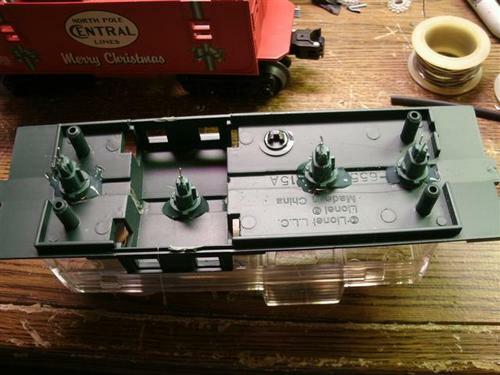 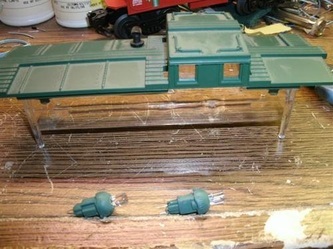 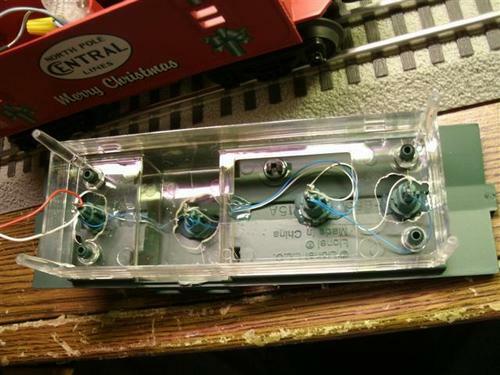 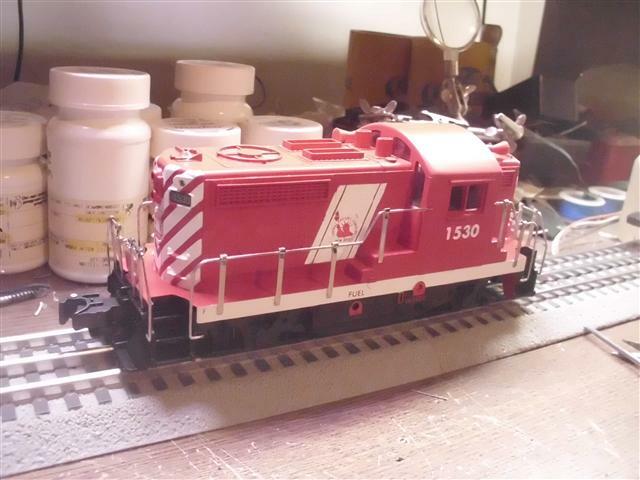 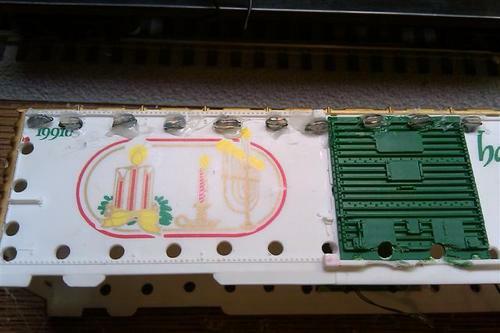 I used some of the white ones already as cab lighting in the locomotives. There are colored versions and I thought it would be neat to line a boxcar with these lights and make a chase pattern for the holiday train. 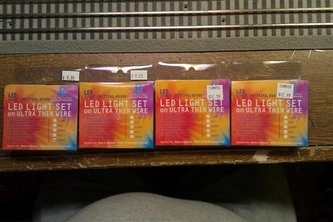 Four colors were available. 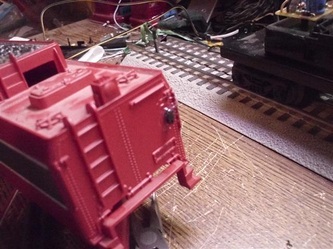 This part will document the creation of this project. 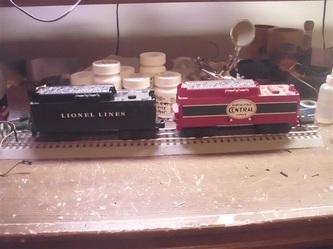 Below is a video of the completed project. 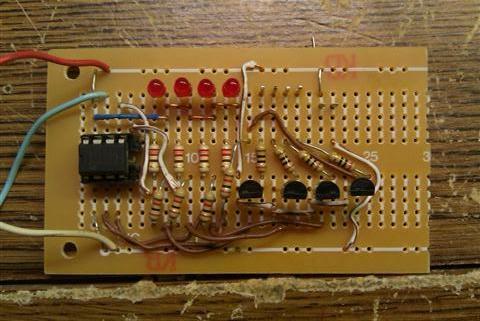 The original plan was to use logic gates and a timer circuit to make a 1 in 4 chase sequence. 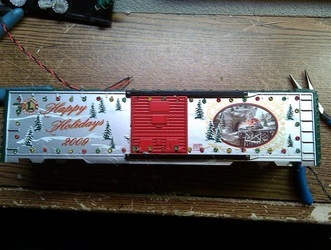 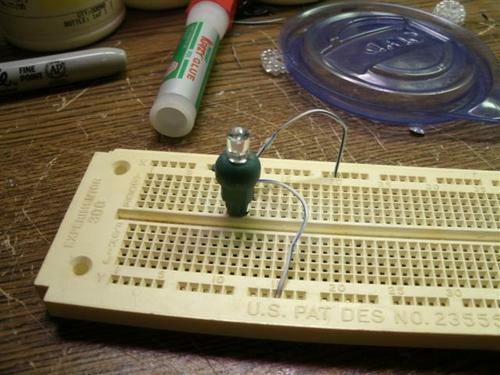 Instead, a PIC microcontroller would make this with far fewer parts and since it is programmable, different patterns can be made. 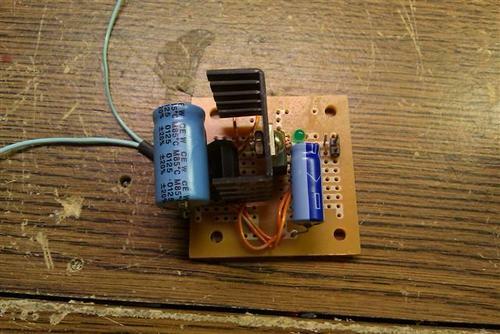 This is a prototype board with four outputs with simple code to do the chase pattern. This video shows the PIC chip running the program. 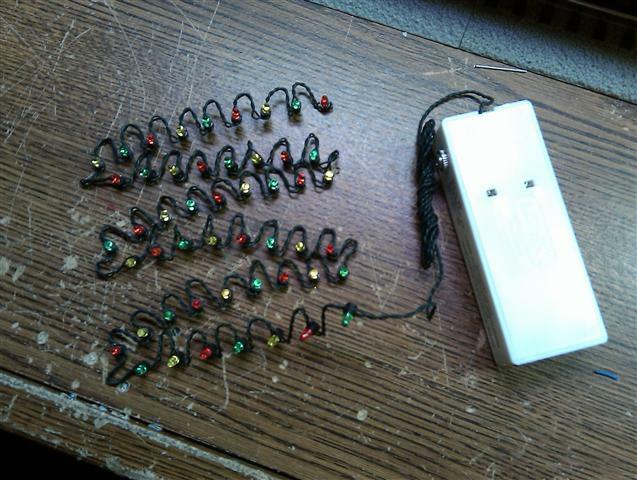 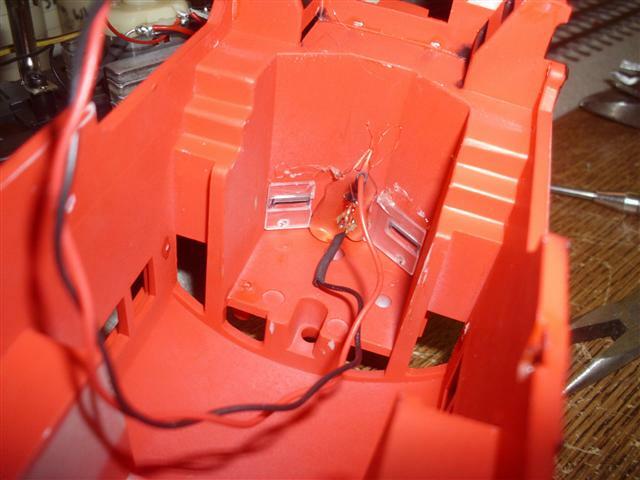 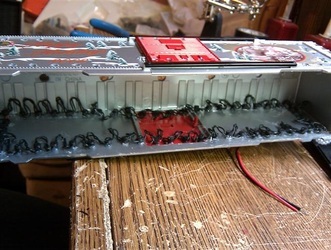 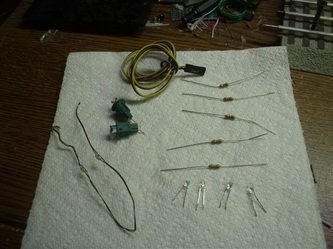 The speed is controlled by an adjustable resistor and the software sequences 1 of 4 lights, then 2 of 4, finally 3 of 4. 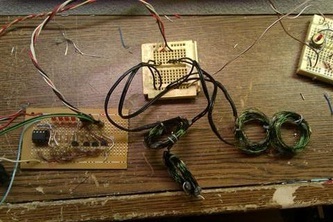 The nice part of using a PIC chip is it can be programmed to do all sorts of interesting patterns. 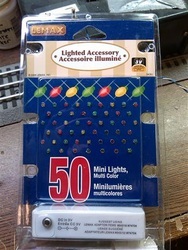 Grand total is 263 LED lights! One problem I ran into is this locomotive is not strong enough to pull the lighted cars due to the weight and drag. 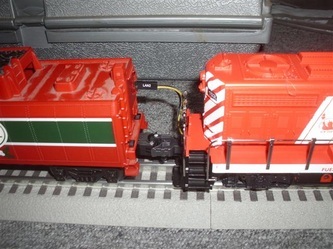 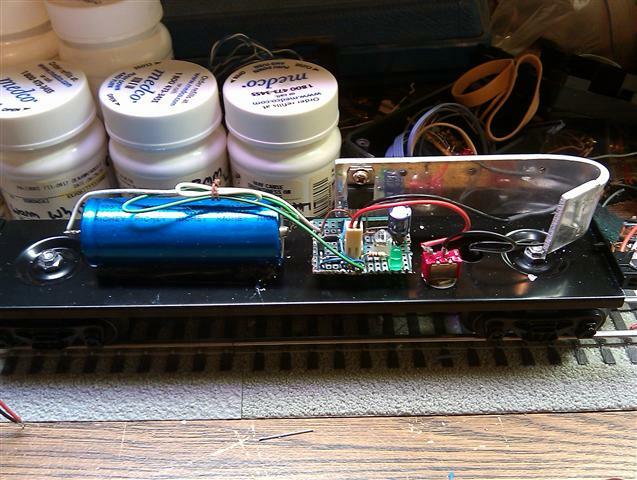 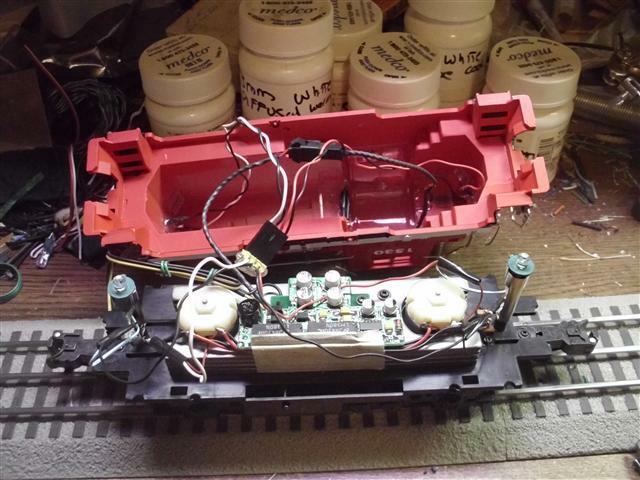 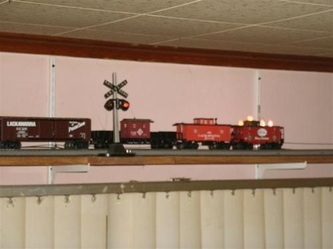 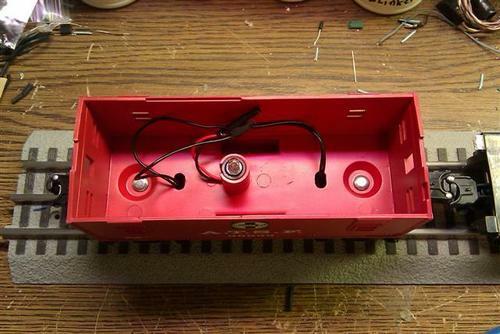 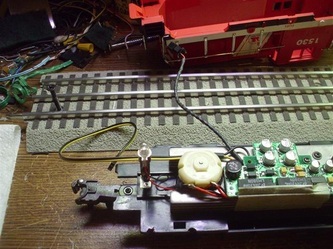 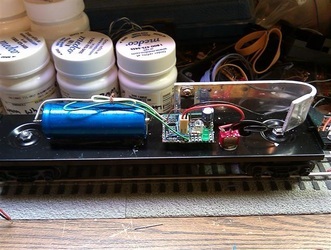 The train would need to be run at 100% throttle just to make it around the track and even then the transformer would flash indicating an overload condition. 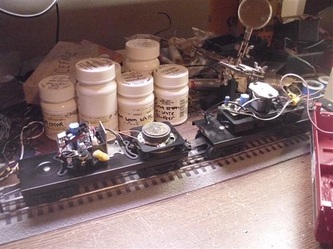 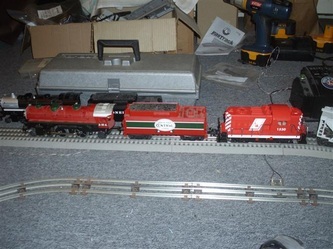 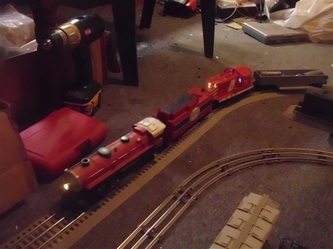 I had thought it could be due too much power being drawn off the track to run the lights, but after switching out the locomotive with a different (dual motor) one it ran fine with no overload condition. 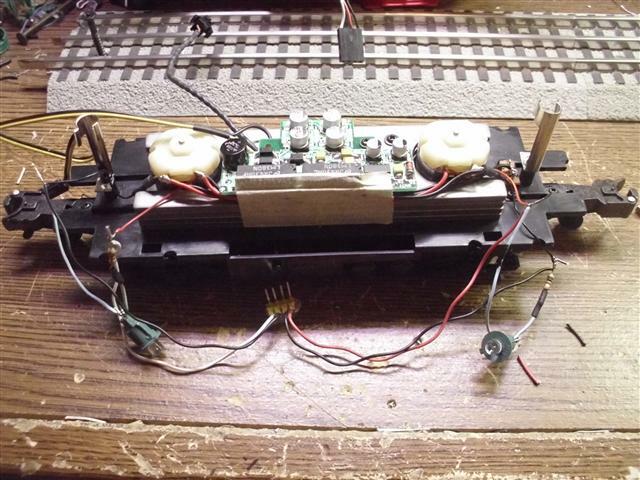 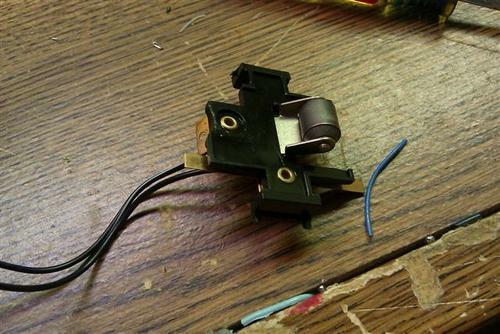 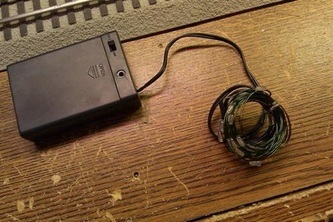 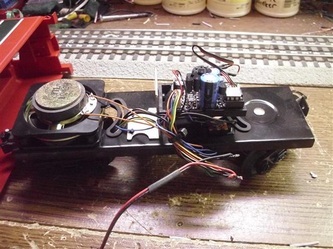 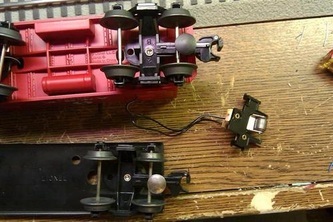 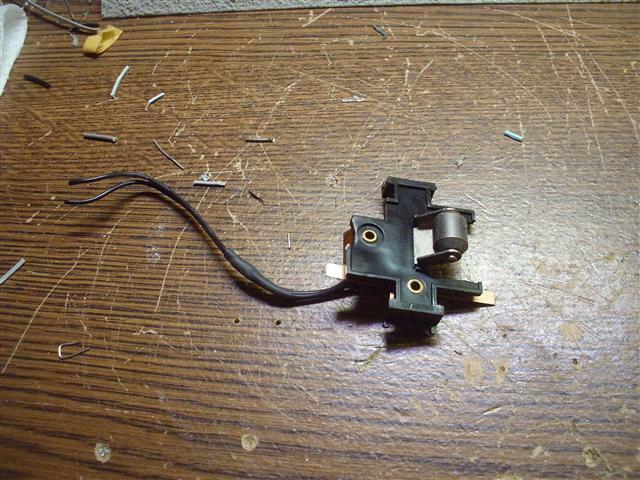 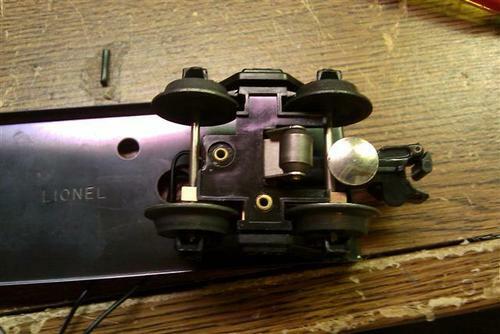 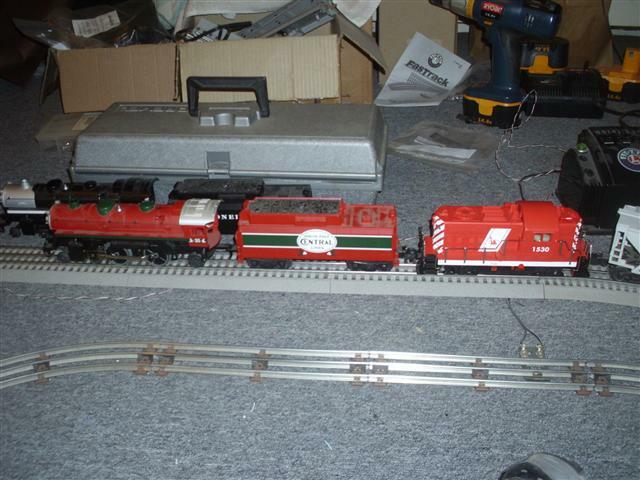 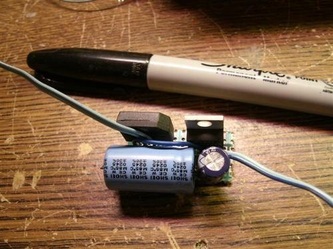 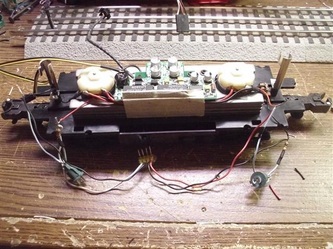 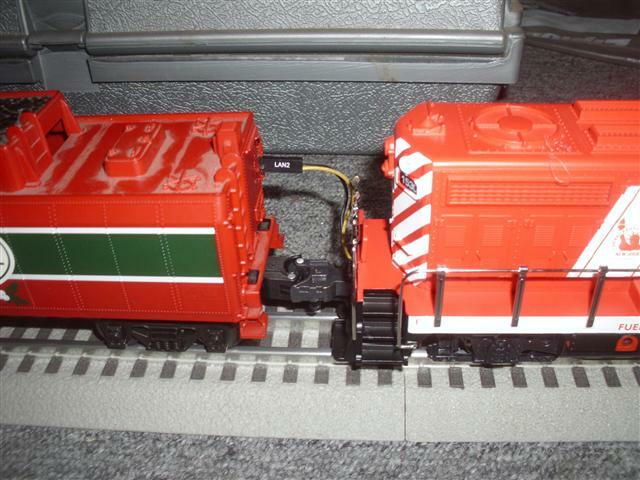 I found a small dual motor Beep which I will use as an assist for the locomotive. Below is the changes and modifications needed to do this. Video clip "before and after" the changes.